Powers/Abilities: Wo-Han possesses no known superhuman abilities. As the leader of the Hong Kong branch of the Hellfire Club he not only commanded fabulous personal wealth, he also had access to substantial funds used to maintain the Club's high standing. Wo-Han also held close ties to the Hong Kong triads using them for his personal gain. (X-Men II#104 (fb) - BTS) - Leader of the Hong Kong branch of the Hellfire Club, Liu Wo-Han oversaw all of its society events. He also maintained close ties to the Hong Kong triads often using their services for personal gain. (Uncanny X-Men I#384 - BTS) - The Barsoom native slave dealer Tullamore Voge ran a large slaver organization on Earth. To help him collect humans and deal with production and logistics, he hired a creature called the Goth who in turn commanded both the Crimson Pirates and a band of super powered operative he also named the Goth. (X-Men II#104 (fb) - BTS) - Wo-Han formed an allegiance with the Goth and the Crimson Pirates. 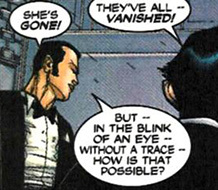 The Goth, however, didn't fully trust the Hellfire Club and had one of his spies infiltrate the club as a waitress. (X-Men II#104) - While hosting another society event, the Hong Kong Hellfire Club was attacked by the X-Men Rogue and Wolverine who came looking for their captured teammates (they were taken prisoner by the Goth and Crimson Pirates). Wo-Han's bodyguards and security staff immediately arrived to deal with them but proved no match for the powerful mutants. Wo-Han was shocked by the attack since the Goth had promised him protection. Just as he was calling out to the god of mercy Kwan-Hin, Phoenix arrived with Beast and Nightcrawler. One snarl from both was enough to convince Wo-Han's escorts to back down. 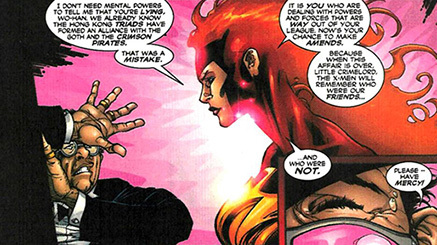 Wo-Han was unaware Phoenix used her telepathic abilities to mentally scan the minds of everyone present for clues on her teammates' whereabouts. During this, she learned one of the waitresses was working for the slavers. 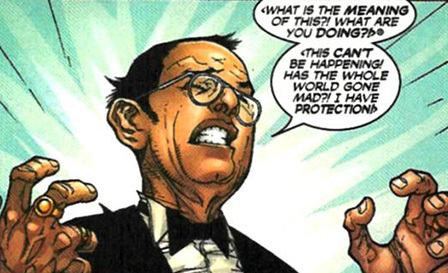 Wo-Han remained enraged by the attack, reminding Phoenix that this attack would be tempting the wrath of the superpowered crimelord the Mandarin himself. Phoenix focused her scan on Wo-Han. When she mentioned they came looking for the Goth, the name caused Wo-Han to immediately start sweating and babbling in an attempt to feign ignorance. The X-Men left, but not before threatening to come after him once they'd dealt with the slavers. Startled and afraid Wo-Han ordered one of his men to close the club for the night while he went to report the events to Beijng, adding that if the slavers wished to rule an empire, they were the ones who had to deal with its enemies. Comments: Created by Chris Claremont (writer), Leinil Francis Yu (pencils), Mark Morales (inks). The Hong Kong branch of the Hellfire Club was also partly seen in X-Men II#61, X-Man I#25, 28, 30, X-Men Unlimited I#17, Uncanny X-Men I#452, 453, 454. Although these storylines mostly deal with Sebastian Shaw setting up shop in Hong Kong it's possible Wo-Han was already involved behind the scenes. They at least worked out of the same building: the one seen in X-Men II#104 is identical to the one in Uncanny X-Men I#452. It's not been revealed if Wo-Han is aware of the existence of the Club's Inner Circle. Chung was part of Wo-Han's security staff. After the X-Men raided the Hong Kong Hellfire Club while looking for their captured teammates, Wo-Han ordered Chung to close the club and send everyone home for the night.